After completing the mission Daddy's Little Girl triathlons become available to all protagonists. The first is located just north of Los Santos Airport. Complete each race to unlock the next. All count towards 100% completion with a bronze medal or better. The following races are available. There is no reward for winning aside from medals for the top three finishing positions. The races begin with a swim, move to bicycles on land, and then you must run a final stretch. 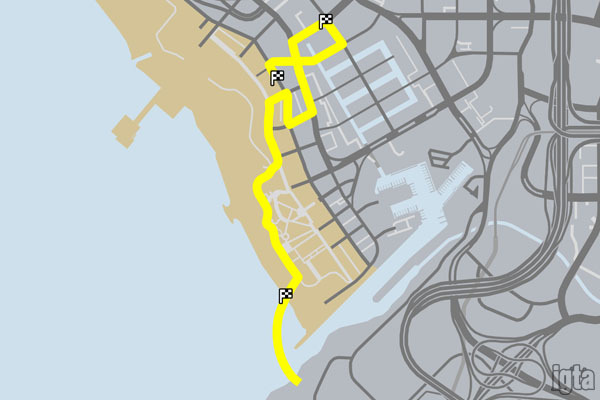 Starting off the southern coast of Vespucci, swim to the north coast and grab a bike. Head up the beach and around the neighborhood before making a quick run to the finish. 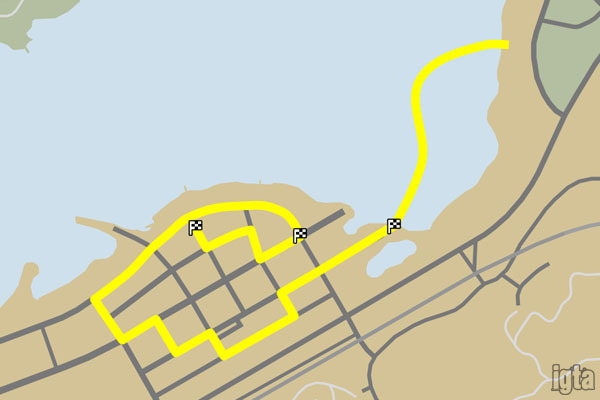 Take a dip in the Alamo Sea before tearing up the streets of Sandy Shores on a bike with a sprint to the finish. Long race is loooooong. Starting in Sandy Shores swim out to the west end of the Alamo Sea. 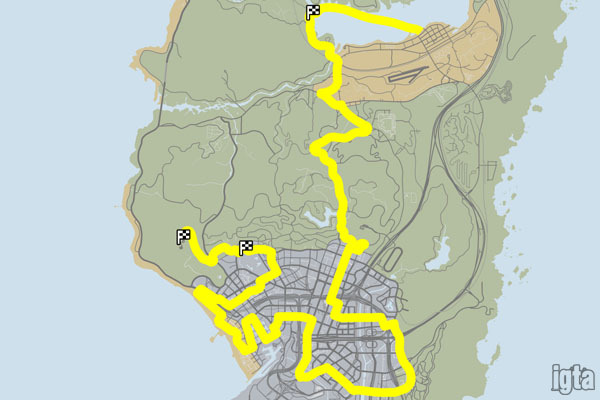 Grab a bike and get ready for a road trip over the Vinewood Hills and a tour around Los Santos. At the Richman Hotel ditch your wheels and put your legs to work uphill to the Kortz Center. Use a character with good stamina to complete these races. You'll want maximum stamina for the third race. It is also a good idea to have high lung capacity which comes in handy for the swimming tips below. Pause the game if need to give your fingers a break. Shouldn't need to tell you this. Check your radar for upcoming checkpoints and turns. Swimming: Dive underwater but not too far from the surface. You'll get around the crowd and actually pull ahead easily. Stay under as long as possible since surfacing and re-diving can reclaim gained time. When you reach a checkpoint immediately turn towards the next. Straight lines will shave off time. Bicycles: Lean forward and cut corners where possible. Look out for guardrails, signs, etc. along the streets. Likely other racers will pass you or come close during this part of the race. Don't worry too much about them as you'll be able get back ahead in the final run. Running: Easiest portion of the race to cut corners during.